Few health measurement scales are based on Chinese medicine theory. The Health Scale of Traditional Chinese Medicine (HSTCM) was developed to fill this gap. The aim of this study is to validate the HSTCM. A convenience sample of 630 participants was recruited in 11 settings. All participants were asked to complete the HSTCM and World Health Organization Quality of Life Measure-Abbreviated Version (WHOQOL-BREF). Properties of the HSTCM were tested. Intra-class correlation coefficient representing the inter-interviewer reliability was 0.99 (95%CI) for the overall instrument. Spearman-Brown correlation coefficient and Cronbach's coefficient alpha were 0.81 and 0.94 respectively, indicating satisfactory internal reliability and inter-interviewer reliability. Spearman's rho correlation coefficient between the HSTCM and WHOQOL-BREFF was -0.67. A receiver operating characteristic (ROC) curve analysis was performed to test the discriminate validation. Areas under the ROC curve analysis for the HSTCM and its domains ranged 0.71–0.87 and all the lower levels of 95%CI were greater than 0.50. The HSTCM was validated as a generic health scale and may complement existing health measurement scales in Chinese medicine health care. Acceptance of health measurement scales based on one's perception has increased in recent years [1–3]. Several well-established measures on health status or health-related Quality of Life (QOL) have been widely used [4–8]; however, few were developed on the basis of Chinese medicine which has been important for the well-being of the Chinese people for many years  and is now increasingly recognized worldwide [10–12]. Measuring health in accordance with Chinese medicine theory is useful [13, 14]. Chinese medicine practitioners pay close attention to patients' subjective feelings for diagnosis and treatment. Different perspectives of the patients may lead to different prescriptions from the practitioner even if the patients suffer from the same condition . Over the years, Chinese medicine practitioners have accumulated valuable experiences on obtaining information from the patient's perspective that may benefit their treatment strategy and judgment of clinical efficacy. We believe that these experiences can be more easily understood by clinicians and researchers if they were involved in some applicable instruments. Moreover, Chinese medicine and Western medicine work differently towards the end result. In Chinese medicine, information such as adaptation to climates and seasons, aversion to cold, positive feelings concerning the ability of maintaining stable mood is carefully captured as evidence for patients' adaptability with both natural and social environments. Although modern Chinese medicine practitioners may take biomarkers as references, there is a general impression among them that indicators reflect individual's adaptability may possess a more important position when testing the efficacy of a Chinese medicine treatment. However, these indicators are usually not involved in common patient reported outcomes (PRO) or health related quality of life measures. A few other instruments were developed on the basis of Chinese medicine theory or for integrative medical research but none of them were based on a community sample [16, 17]. In addition, the commonly recognized and accepted set of standardized procedures [18, 19], from concept to measurement scale, makes it possible to develop an instrument based on Chinese medicine theory. The Health Scale of Traditional Chinese Medicine (HSTCM), which is a generic scale designed for evaluating general health according to subjective feelings , is based on health concept of Chinese medicine and the operationalization of this concept's measurement [20, 21]. The HSTCM consists of three domains, namely physical function under natural environment (PFNE), spirit (SP) and social environment (SE), and 2 additional items (see Additional file 1). PFNE domain has four facets: physical functioning (PF), voice (VOC), stool and urine (SU), and adaptability of natural environment (ANE). SP domain also has four facets: confidence and content (CC), self-confidence (SC), energy (EG) and basic ability of thinking (BAT). SE domain has three facets: ability of communicating with people (ACP), adaptability of noisy condition (ANC) and ability of dealing with bad stimulations (ADBS). In 2003, the development of initial Health Scale of Traditional Chinese Medicine (iHSTCM)  and the refinement from the iHSTCM (88 items) to HSTCM (47 items)  were accomplished. It was shown that the HSTCM was conceptually sound and reliable . However, the test of psychometric properties using various independent samples may still be needed, particularly construct validation, according to the principles of instrument development [23, 24]. Meanwhile, the previous test was based on data collected through iHSTCM (containing 88 items [21, 22]); it is reasonable to test the psychometric properties again with the revised version of HSTCM (containing 47 items). The purpose of developing the HSTCM is similar to other generic health related QOL measures, e.g. the World Health Organization Quality of Life Measure-Abbreviated Version (WHOQOL-BREF)  and MOS 36-Item Short Form (SF-36) . We used the WHOQOL-BREF (Chinese version)  as a comparison instrument when examining the validation of the HSTCM because of the excellent validity and reliability of the WHOQOL-BREF. It is also because the Chinese version of the WHOQOL-BREF has become one of the standard measurements of QOL in China. The aim of this study is to validate the measurement properties of the HSTCM in a convenience sample. Inclusion criteria for the participants are (a) 18 years of age or above and (b) speaking Putonghua (Mandarin Chinese). All participants were asked to complete both the HSTCM and WHOQOL-BREF. An oral agreement was obtained from each participant prior to interview. The HSTCM includes 47 items, each with a five-degree response format, scoring 1, 2, 3, 4 and 5 respectively. Total scores range 0–225 (two additional items not included), whereby a high score indicates poor health. The Chinese version of the WHOQOL-BREF (Ministry of Health, China, 1999)  was taken in this study as a standard criterion. The instrument contains 26 core items and three additional items. The three additional items are only used in the mainland Chinese version. A demographic questionnaire covering gender, age, and highest educational attainment was provided at the end of the interview. Each participant completed the questionnaire in the presence of an interviewer. We produced a booklet entitled the Guide to the HSTCM Survey to set forth a standard operating procedure (SOP), rules of investigation, structured response to frequently asked questions for interviewers and structured oral interview guidance. A total of 25 interviewers, who were senior medical students or nurses, were trained with the booklet for 4–6 hours. We compiled a coding notebook to ensure good quality of data entry. If there are two answers to one question that are next to each other, the auditor must choose one of the answers. However, if the two answers are not next to each other, the auditor must read the notes from the interviewers. If there are no related notes, the auditor must consider the answer as missing. All data were double entered with EPI DATA 2.1a (EpiData Association Odense, Denmark). The final dataset was converted into SPSS format. Data were analyzed primarily with SPSS version 11.0 (SPSS, USA) while confirmatory factor analysis was performed with SPSS Amos 4.0. Demographic data were assessed with descriptive statistics. Reliability assessment was conducted between interviewers. Twenty-four of the 25 interviewers were divided into 12 pairs, two in one pair. A pair of interviewers questioned a participant and it was ensured that they could not see each other's records. One of them was in charge of the investigation, while the other recorded the answers only. It was decided randomly who would be in charge. Inter-interviewer reliability was performed by intra-class correlation coefficient (ICC) analysis. Cronbach's α statistics were used to assess the internal consistency reliability of the HSTCM, in which values greater than 0.6 were considered evidence of internal consistency . Unequal-length Spearman-Brown prophecy coefficient was used to obtain the split-half reliability coefficient . Using input from both the HSTCM focus groups and Chinese medicine practitioners, we performed the face and content validation during the design phase of the HSTCM  to assess how well the HSTCM measured the concepts. The HSTCM was further verified after the design phase with input from healthy participants and inpatients of Chinese medicine hospitals to ensure the questions' relevance. Convergent validation of the HSTCM was assessed with Spearman's rho correlation coefficients between the scores of the HSTCM and WHOQOL-BREF. An absolute value within the range of 0.4–0.8 suggests that the convergent validation is appropriate . 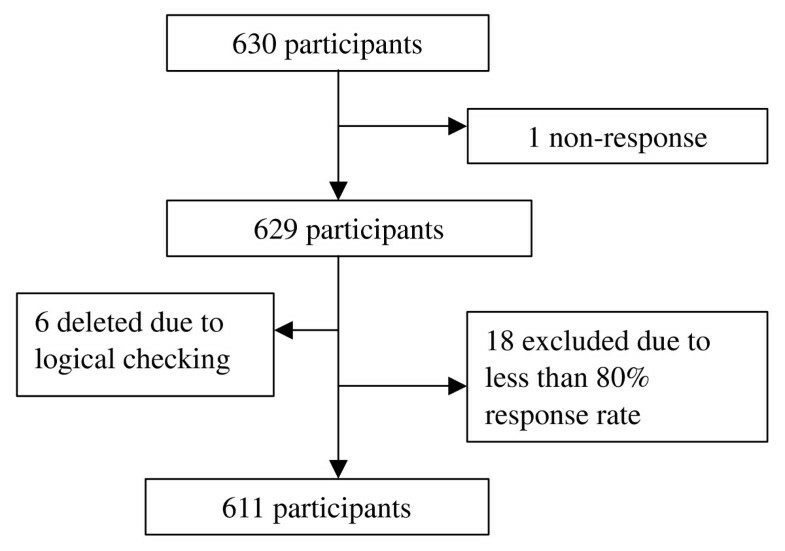 To study the ability of the domain and overall HSTCM scores in discriminating groups of participants of possibly different health status, we divided the participants into three groups according to their self-reported general health status, self-reported health status change and degree of medical needs. The mean, standard deviation (SD) and 95% confidence interval (95%CI) of domain and overall HSTCM scores of each group were calculated. A lack of overlapping between the ranges of 95%CI of any two groups suggests that the domain or the HSTCM can distinguish these groups. Receiver operating characteristic (ROC) curves [29, 30] were plotted for the HSTCM and its three domains. The area under the curve (AUC) was used as an indicator of the ability of the instrument to differentiate participants with or without good self-reported general health status. An AUC of greater than 0.50 indicates a discriminative accuracy to be greater than chance. A perfect discriminative ability would have an AUC of 1.0. Principal component exploratory factor analysis with Equamax rotation was carried out to assess the underlying structure of the instrument among a set of questionnaire items. Confirmatory factor analysis was further performed to examine whether the data fit the applied model. Goodness of fit of the model was considered to be acceptable if root mean square error of approximation (RMSEA) is less than 0.08. Goodness of fit is good if RMSEA is less than 0.05. Comparative fit index (CFI) of greater than 0.95 also indicates a satisfactory goodness of fit . Values are considered statistically significant if P < 0.05. From December 2006 to February 2007, 630 participants as a convenience sample were recruited under 11 settings in the Liwan community in Guangzhou, China. Six hundred and twenty-nine participants returned both the HSTCM and WHOQOL-BREF questionnaires, giving an overall response rate of 99.8%. Six of the 629 questionnaires were excluded for not meeting the criteria of logical checking. Among the remaining 623 questionnaires, 611 responded to 80% or more of the items of both questionnaires (Figure 1). Missing values of the items were replaced in accordance with the series mean method. Among the 611 participants, 58% were female and the mean age was 49 years. And 35.8% had completed high school and 15.9% had completed university or above. All participants were recruited under 11 settings of the Liwan community (Table 1). Among all demographic questionnaires, 66.9% were self-administered while 8.7% and 19.6% were interviewer-assisted and interviewer-administered respectively. The overall correlation between interviewers in the HSTCM was 0.99 (95%CI: 0.996–0.999). The correlation coefficient of the PFNE domain was 0.99 (95%CI: 0.995–0.999), the SP domain 0.99 (95%CI: 0.996–0.999) and the SE domain 0.99 (95%CI: 0.996–0.999). All the intra-class correlation coefficients (for both the total scale and its three domains) were greater than 0.95 (the lower level of 95%CI > 0.90), suggesting that the inter-interviewer reliability was satisfactory. We calculated the Spearman-Brown split-half reliability coefficient to examine the split-half reliability. The coefficient was 0.81, indicating a good split-half reliability of the HSTCM. Internal reliability of the HSTCM and its three domains were estimated with the Cronbach's α coefficient (Table 2). The Cronbach's α coefficients of the HSTCM domains and the total score of the HSTCM were larger than 0.80. Except the ANC facet, of which the Cronbach's α coefficient was 0.32, the values of other facets were greater than 0.65. We carried out convergent validation by correlating the total score of the HSTCM with that of the WHOQOL-BREF. The Spearman' rho correlation coefficient (r) was -0.67 (P < 0.001). The three-domain scores showed fair to moderate correlation with the four-domain scores of the WHOQOL-BREF. All the correlations were statistically significant. The physical function domain showed moderate correlation with physical domain (r = -0.55, P < 0.001) and had fair correlation between the psychological domain (r = -0.41, P < 0.001), social domain (r = -0.37, P < 0.001) and environmental domain (r = -0.31, P < 0.001) of the WHOQOL-BREF. The spirit domain showed higher correlation with the physical domain (r = -0.71, P < 0.001), psychological domain (r = -0.70, P < 0.001) and social domain (r = -0.53, P < 0.001) of the WHOQOL-BREF and fair correlation with the environmental domain (r = -0.47, P < 0.001). 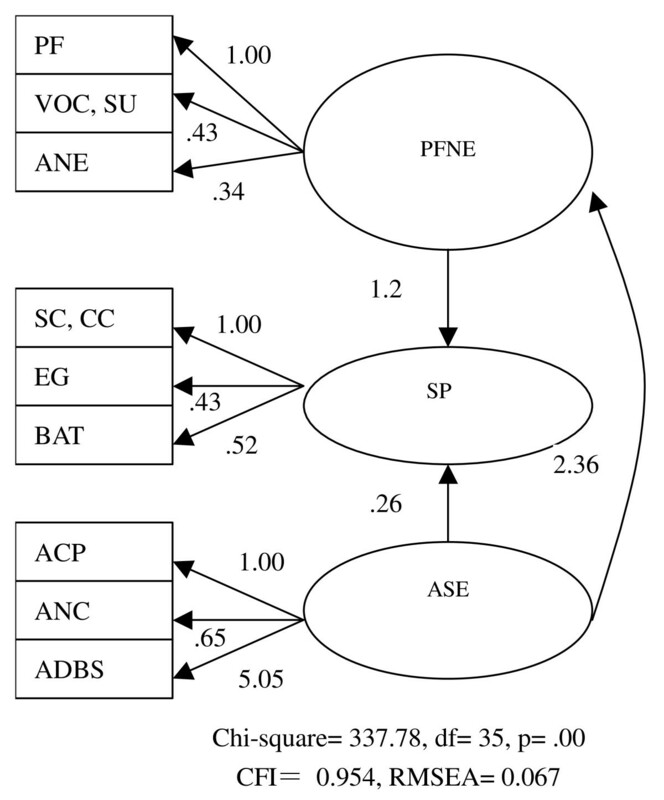 The social and environmental domain showed only fair correlation with all the four domains with correlation coefficient ranging from -0.32 (P < 0.001) in the social and environmental domain to -0.49 (P < 0.001) in the physical domain of the WHOQOL-BREF. The overall HSTCM score displayed significant correlation with all four domains of the WHOQOL-BREF. The correlation was moderate with the physical (r = -0.68, P < 0.001) and psychological domain (r = -0.62, P < 0.001) and fair with the social (r = -0.47) and environmental domain (r = -0.43, P < 0.001) of the WHOQOL-BREF (Table 3). All correlations are significant at the 0.001 level (2-tailed). In the HSTCM, a higher score means poorer health; in the WHOQOL-BREF, a higher value means better health. The mean, standard deviation (SD), 95%CI of each group of the HSTCM and its domains were calculated (Tables 4 and 5). No overlapping of the 95%CI was found between the participants with good self-reported health status and those with poor self-reported health status in all three domain scores and the overall HSTCM scores. The same results were found between participants with better self-reported health status change and those with worse health status, and between participants with 'not at all/a little degree of medical needs' and those with 'very much/great degree of medical needs'. The overall HSTCM scores and the three domain scores differentiated all three levels of the self-reported health status indicators as well as discriminated the participants with 'not at all/a little degree of medical needs' from those with 'moderate needs'. However, the three domain scores and the overall HSTCM scores did not distinguish the participants with 'moderate medical needs' from those with 'very much/great medical needs'. Moreover, the scores did not distinguish the participants with 'better health statuses' from those with 'no change'. Self-reported general health status is item 21 of the HSTCM; self-reported health status change is item 22 of the HSTCM; degree of medical needs is item 4 of the WHOQOL-BREF. ROC curves showed the discriminate validation of the instrument (Figure 2). The AUC for the HSTCM and its domains were high and all the lower levels of 95%CI were greater than 0.5 (Table 6), suggesting that the instrument discriminated the participants in terms of self-reported health status. 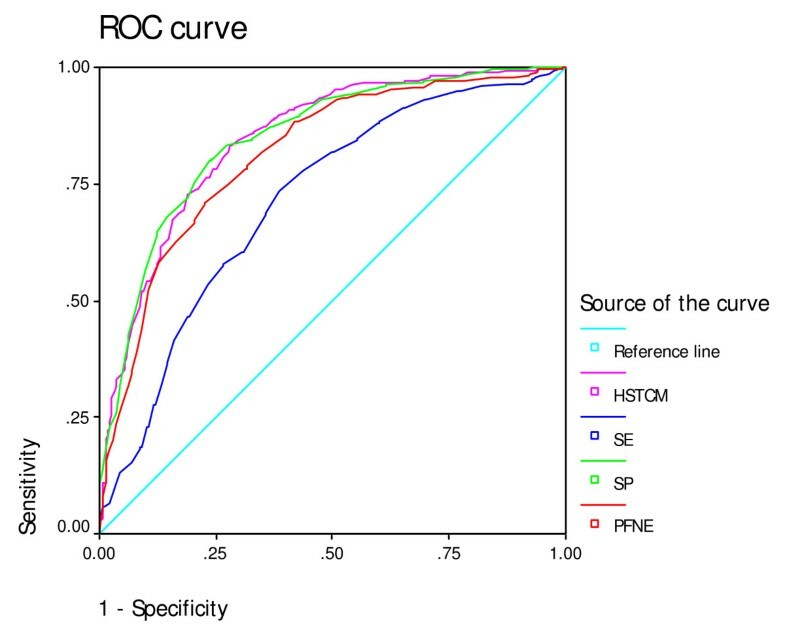 ROC curves for the HSTCM and its domains in discriminating performance between participants with good self-reported general health status and those without. HSTCM: Health Scale of Traditional Chinese Medicine; SE: social and environment domain; SP: spirit domain; PFNE: physical function under natural environment domain. The previous version of the HSTCM  did not include appetite and sleep. As appetite and sleep are often used in diagnosis and outcome assessment, the HSTCM focus group decided to include them as additional items of the HSTCM, bringing the total number of items to 47. However, these two items were not included in the validation analysis. By exploratory factor analysis, 45 items were summed up to nine factors (Table 7). Result of the Kaiser-Meyer-Olkin (KMO) measure of sampling adequacy test was 0.93, suggesting that the data were suitable for factor analysis . The nine facets explained about 60.8% of the total variance of the data. The constructs of facet were very similar to those of the previous version. Only SC and CC, belonging to two facets, emerged in the same factor; so did VOC and SU. SC and CC were the facets of the SP domain, while VOC and SU belonged to the PFNE domain. These results showed that the constructs of facets were coherent with structures of the HSTCM domains. We performed further exploratory factor analysis using scores of the nine facets resulting in three factors, which explains the total variance of 64.1% (Table 8). We constructed a model to carry out the confirmatory factor analysis (Figure 3). CFI of the model was above 0.90, while the RMSEA was less than 0.08. The goodness of fit was acceptable. Model of the confirmatory factor analysis between the HSTCM domains and facets. The properties of the HSTCM were tested in a group of participants in the Liwan community in Guangzhou, China. Measurement properties, internal reliability and inter-interviewer reliability of the HSTCM and its domains were satisfactory. The HSTCM had mild convergence with the WHOQOL-BREF (with a moderate correlation). The overall HSTCM scores and most of the domain scores discriminated groups of participants with known differences in health status. Confirmatory factor analysis showed a good structure fitness of the domains and overall structure. In the reliability test, Cronbach's α was low in subscale ANC (0.32). As the items in the ANC facet met the selection criteria and Cronbach's α was considered to be acceptable on the whole scale and three domains' level; we may need further evidence before removing ANC from the scale. In this study, we used the ROC analysis to evaluate the discriminate ability of the HSTCM. The AUC indicates that the HSTCM discriminate better than chance between groups with and without good self-reported health status. Therefore, the results of ROC analysis support the clinical validity of the HSTCM. However, this discriminate ability should not be confused with that of diagnostic instruments. Health status measures are not intended to be used at an individual patient level . Construct validation is an ongoing process. The more frequently an instrument is used, the greater our confidence is in its validation . Comparing the previous study  with the present one, we found that the construct validities of two independent samples were similar. Similar constructs in two independent studies strengthen the construct validation for the HSTCM. We may find some similar constructs in other health related QOL instruments based on Chinese medicine theory . Items from SC and CC had similar meanings in terms of the HSTCM developmental theory, as did VOC and SU, which may be explained by the exterior-interior relations  between the large intestine meridian and lung meridian. The exterior-interior relations of the two meridians not only strengthen the connection between this specific pair of meridians, but also promote the large intestine/lung pair to coordinate with each other physiologically and influence each other pathologically. Items of the VOC facet are key indicators of the status of lung, while the SU facet contains an important predictor of the large intestine. No test-retest reliability was conducted in the present study; however, results from the previous study suggest good test-retest reliability . The attribute of 'responsiveness' is also considered as a component of a scale validation . Based on the discriminative validation and measures of ROC, we think that the responsiveness of the scale is acceptable . However, we did not estimate the parameter to compare the before-after changes caused by a given intervention, which means the inference may be limited. In this study, participants were selected from a community by convenience sampling which is widely used in psychometric property testing, especially those of health scales [39–43]. However, a convenience sample is less representative than a random sample and may limit the generalizability of this study. We did not use item response theory (IRT) in developing and evaluating the HSTCM because the advantage of the IRT methods over traditional methods was not clear to us . However, we think that IRT methods can be used to refine the scale. Generalizability theory (GT) is another powerful tool in analyzing scale reliability with complicated sources of measurement biases. Further studies with IRT to analyze item characteristic of the instrument and with GT to evaluate the validation of the HSTCM are warranted. The HSTCM meets the basic requirements for a generic health scale and complements the existing health measurement scales for Chinese medicine health care. This work was supported by the State Administration of Traditional Chinese Medicine of the People's Republic of China (No.04-05JP50), the Finance Department of Guangdong Province (No. 2 143) and the Guangzhou University of Chinese Medicine (No. 84). We are grateful to Drs Zhigang Zhong, Nuo Su and others from the Health Service Centre of Fengyuan Road, Liwan community, Guangzhou, China for their kind assistance in the investigation. We also thank all the interviewers and participants who took part in this study. SLL and DRW conceived the study design, drafted the protocol and manuscript. DRW and LJZ arranged and conducted the training and investigation. DRW did data management and data analysis. XFG, ZHW, WXL and AHO were members of the HSTCM focus group; together with KJC they provided methodological insights. GQZ was in charge of the recruitment of the interviewers. All authors read and approved the final version of the manuscript.